ORT Braude College (OBC) was established in Karmiel with the goal of developing an academic center that would teach the different engineering fields and simultaneously work in cooperation with industry. 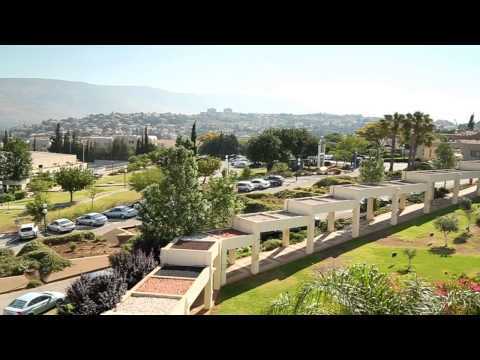 The College’s geographic location is a direct response to national and regional needs: it serves as an academic, technological and scientific center for the Galilee, increases the accessibility to higher education in the north of the country and contributes to the range and enrichment of Karmiel’s educational system. To assist the students by providing academic, social, financial, psychological, sociological and medical support. The College’s policy is to provide students with advanced, up-to-date engineering knowledge in sought after careers. The College is continually developing new study programs, in step with the country’s economic and industrial development. Aside from degrees in engineering, the college offers other educational programs. The College offers practical engineers the opportunity to continue studying towards a B.Sc. engineering degree. ORT Braude College students specialize in their selected fields and upon graduation are employed by top ranking industries. OBC faculty conducts research and development in diverse fields. The College’s R&D company, “Ofek Eshkolot R&D Ltd.,” was established to promote practical R&D and to commercialize the intellectual property developed by ORT Braude’s scientists and researchers. Outstanding students who study at ORT Braude College can opt to enroll in the College’s specially designed Excellence Program which features advanced level courses and individual supervision. The students are also required to conduct a research project. ORT Braude College builds direct ties with industry across the country and brings world-renown experts to conferences, seminars and workshops that are held on campus.